The hair replacement specialists, based in the West Midlands, have recently been successful in a tender process with the NHS. Building on their many years’ of experience and knowledge working with patients who have suffered from hair loss. Pink Hair Director Linda Heeley, believes the company’s commitment to providing high quality patient care is what made them successful in the tender process. 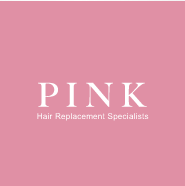 “This is an exciting time for us here at Pink Hair, as we have previously had to turn away NHS patients who have been undergoing treatment, and requiring wigs even though we have been able to support them with cutting and styling. I’m certain we were considered by the NHS due to our commitment to client and patient care.” Linda said. With the support from the NHS Trusts, Pink Hair Solutions can provide patients with a comfortable environment to discuss their hair loss experience. Consultants at the company are welcoming patients to get in touch to receive helpful information, and advice with hair maintenance, and re-growth. Pink Hair Solutions stock a large assortment of stylish hats and scarves, and offer a private, confidential service to all patients.